A risk-free prediction about Lok Sabha election in Madhya Pradesh is that the Congress tally will rise from the existing three seats. A little riskier prediction is that the tally could reach double digits. Can the Congress win more seats than the BJP? This is too risky to predict right now. Jury is out for the 29 seats up for grabs in Madhya Pradesh. In the run up to the Lok Sabha election, the Congress has two distinct advantages. One, it ousted the BJP in the assembly election barely four months ago and has good reason to believe that people’s political honeymoon with the party will last till at least the Lok Sabha poll. Two, tribals and scheduled castes have indicated growing disenchantment with the BJP across India, and this could result in more seats for the Congress in the predominantly rural Madhya Pradesh. Scheduled Tribes account for 21 per cent and Scheduled Castes 16 per cent of the state’s over 8 crore population. Nearly six per cent Muslims already have clear preference for the Congress in the absence of any other viable alternative to the BJP in the state. The Bahujan Samaj Party (BSP) is all but disintegrated with a majority of its leaders in the Vindhya and Chambal regions having joined the Congress. The AamAdami Party (AAP) has announced to stay away from the Lok Sabha election in the state. Therefore, the Congress is a default choice for all those sections disillusioned with Narendra Modi’s rule. Against the Congress’s two advantages, the two distinct disadvantages BJP is grappling with are resource crunch owing to loss of power in the assembly election and massive disenchantment among the workers—not to mention the voters—towards sitting Lok Sabha members. Dissension and sabotage had cost the BJP dearly in the assembly election. The Congress’s pluses and the BJP’s minuses are pretty evident in the state’s election scene. Nowhere is it more evident than the confidence levels of the two parties. 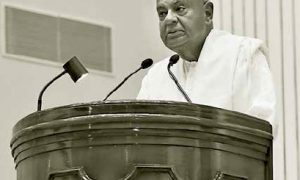 The BJP is looking nervous; so much so that Union minister Narendra Singh Tomar is forced to choose a safer seat than Gwalior which sent him to the Lok Sabha in 2014. In sharp contrast, veteran Congress leader Digvijay Singh has thrown a challenge to the BJP in Bhopal, a seat the Congress has not won since 1989. A region-wise assessment of the strength and weaknesses of the two parties provides a fair idea about broad contours of the electioneering which is yet to pick momentum. Polling in Madhya Pradesh is staggered in four last phases of the voting schedule beginning from April 29. The state is broadly assumed to be divided in five regions—Chambal-Gwalior, Vindhya, Malwa, Bundelkhand and Mahakoshal. OF these five regions, the Gwalior-Chambal is proving to be most worrisome for the BJP. Trouble began with the party replacing its candidates in Bhind and Morena seats. Bhind MP and retired IAS officer Bhagirath Prasad has been replaced by little-known party worker Sandhya Rai. Dr Prasad was Congress candidate in the 2014 election and just a day before filing nomination, he switched side to the BJP, taking everyone by surprise. An alumnus of the JNU and prominent Dalit intellectual, Dr Prasad used to be respected as a leftist thinker. All through his five years as an MP, he was uncomfortable with Modi and company. Denial of ticket to him was expected. What was not expected though was ticket to Sandhra Rai. Five-time Lok Sabha member Ashok Argal was being considered frontrunner for the seat reserved for the Scheduled Castes. He has been the most prominent Dalit face of the BJP in the region. Denial of ticket has annoyed Ashok Argal so much that he is mulling to join the Congress. has lost confidence of the SC voters as was evident in the assembly election held in November last year. The BSP’s vote share has plummeted to below five per cent. Adjacent to Bhind, the Morena (general) Lok Sabha seat too has troubles for the BJP in store. The party has denied ticket to late Prime Minister Atal Behari Vajpayee’s nephew Anoop Mishra on this seat. Mishra, who has been out of the BJP leadership’s good books for quite some time, had lost assembly election from one of the segments of Gwalior parliamentary seat. Speculation is rife about he is defecting to the Congress, though Mishra has so far sworn to remain in the BJP, which he described as his mother. But the Congress has indicated that it is in touch with “many senior BJP leaders”. 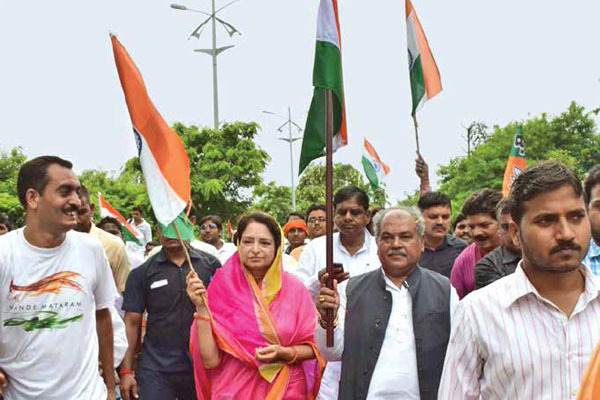 Incidentally, Vajpayee’s niece, Karuna Shukla, is already in the Congress. Two-time BJP MLA, Shukla had quit the BJP in October 2013, soon after Modi was announced as the Prime Ministerial candidate. She contested the last assembly election from Rajnandgaon seat in Chhattisgarh against the then chief minister, Dr Raman Singh, and lost. THAT the BJP is not considering the Gwalior seat as safe is manifest in its MP and Union minister Tomar fleeing to Morena. In the last assembly election, the Congress won five out of the seven assembly seats of the Gwalior parliamentary constituency. The Congress had given freedom to JyotiradityaScindia to choose candidates in Gwalior region. He is likely to have a major say in selection of Lok Sabha candidate too. 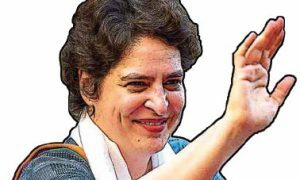 Speculation is rife that Scindia’s wife PriyadarshaniRaje might be fielded from the seat. For Guna, the safest Congress seat in the state, Scindia has already started campaign. It matters little who will be his BJP rival. Despite his additional responsibility as AICC general secretary with charge of western Uttar Pradesh, the scion of the erstwhile Gwalior state is most likely to retain the seat for fifth time. Malwa region has been traditionally a BJP bastion. But the last assembly election has given a jolt to the party. Even Indore seat, where the Congress has been losing since 1989, the BJP is in a dilemma over sitting MP Sumitra Mahajan’s candidacy. 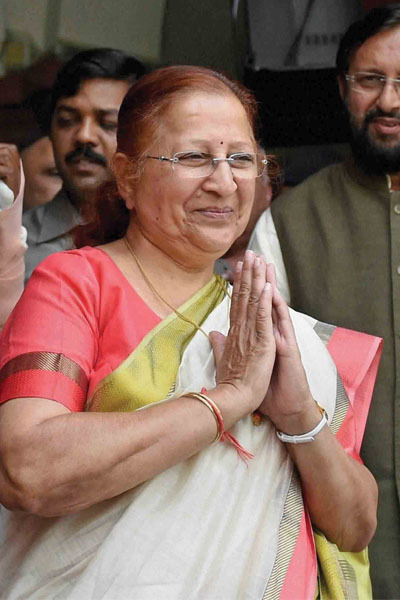 The Lok Sabha speaker has been told to suggest her successor. She is still keen to fight but the BJP is not in a mood to oblige her, given her age. She is 75, the age bar set by the party to deny ticket to its leaders. Other seats in the Malwa region, such as Ujjain, Mandsaur, Dewas, Khargone , Khandwa, Dhar, Shajapur and Ratlam-Jhabua, are likely to witness a keen contest. In the two reserved seats for STs—Jhabua and Dhar—the Congress stands better chance, given the party’s sterling performance in the assembly election. Mahakoshal was a strong Congress fortress till the Ayodhya agitation in 1990s propelled the BJP to make inroads in this region known for producing maximum number of freedom fighters in British India. However, with anointment of Kamal Nath as chief minister, poll arithmetic in Mahakoshal has changed since the last election. Kamal Nath’s pocket burrow, Chhindwara, is part of Mahakoshal, a region that had been waiting for a strong leader since political eclipse of Pt DP Shukla in late sixties. Kamal Nath’s son Nakul Nath is Congress candidate from the constituency which sent his father to Lok Sabha nine times. class=”firstcharacter”>JABALPUR, the heart of Mahakoshal, is likely to witness a keen battle between state BJP president Rakesh Singh and eminent lawyer Vivek Tankha. Rakesh had defeated Tankha in 2014 in the Modi wave. 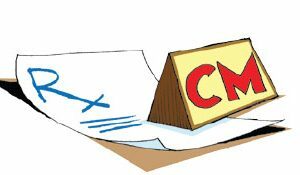 But political mood of the constituency has changed as was evident in the fact that four out of eight assembly segment went in the Congress kitty in the assembly election. 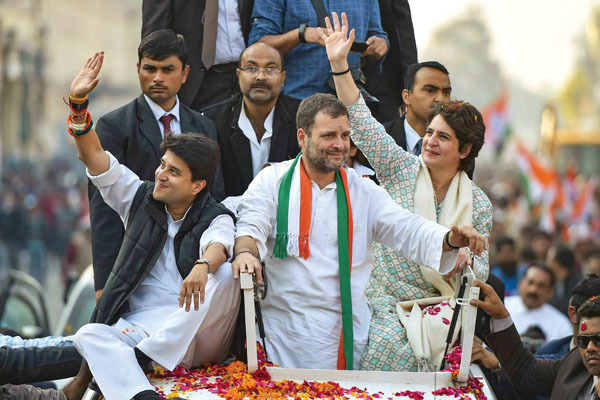 In other Lok Sabha seats of the region, such as Betul and Mandla (both ST) and Hoshangabad, the Congress has wrested many seats from the BJP in the assembly poll. Bundelkhand with Sagar seat at its heart is the most poverty-ridden region in the state. It has stood steadfastly with the BJP. Uma Bharti was its tallest leader till she dug up her own political grave by antagonising the BJP leadership. Khajuraho, Damoh, Tikamgarh, apart from Sagar, seats of the region hold promise for the Congress if the party manages to convince about soundness of Rahul Gandhi’s minimum income scheme. Adjoining Vindhya region is no different from Bundelkhand in terms of poverty and caste-based politics. However, Vindhya is the only region which did not go along with other regions in jolting the BJP. Had the Vindhya too supported the Congress, the ruling party would not have required clutches of independents to cobble together a majority. Satna, Shahdol, Sidhi and Rewa seats of the region have been won by the BJP in the past, primarily because the Mayawati’s BSP played spoilsport for the Congress. In the assembly election, the BSP fared very badly, failing to win a single seat. Last month, chief minister Kamal Nath engineered en-bloc defection in the BSP by roping in most of its leaders. A disintegrated BSP is likely to brighten the Congress prospects in Vindhya. The region-wise assessment provides a rosy picture for the Congress, primarily because the party looks far more confident than the BJP in the wake of its victory in the assembly election. But contours of the electioneering will be clear only after candidates are fielded and they start campaigning. On this count, the Congress has little to worry because it had won only three seats while the BJP has formidable challenge to defend 26 seats. Obviously, dissension in the BJP is more alarming than in the Congress. 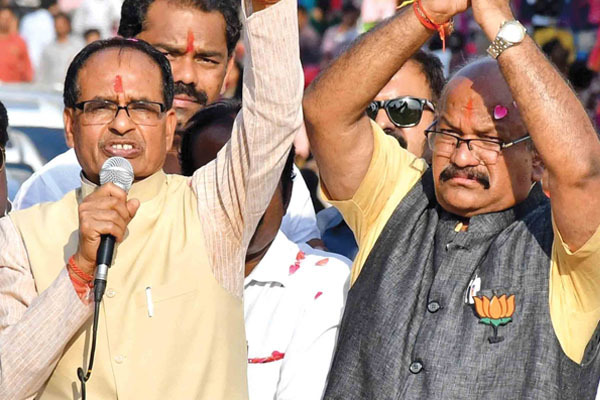 The assembly election last year revolved around the ousted chief minister Shivraj Chouhan. The Congress focussed on the Shivraj government’s 15 years of alleged mis-governance and succeeded in convincing the voters that change was indeed needed. TWO main promises which won the Congress the hard-fought victory were loan waiver for farmers and unemployment allowance to the unemployed. The Congress has kept those promises. 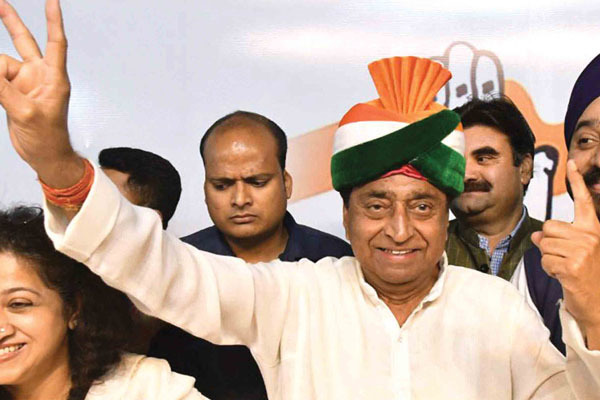 Chief Minister Kamal Nath claims his government has fulfilled 72 out of 83 points mentioned in the Congress manifesto for the assembly election. BJP’s high-pitched nationalism to a great extent. The BJP has so far indicated that it will eschew mentioning the achievements of the Shivraj government in the campaigning. 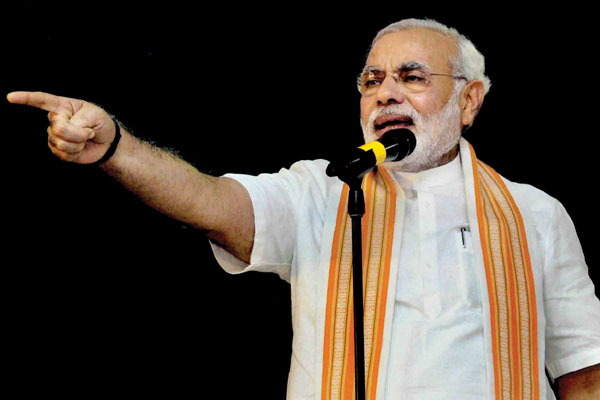 Instead, the party’s sole focus will be on cashing-in on the Prime Minister’s image. Next one month will be crucial for the test of the Kamal Nath government’s achievement vis-a-vis the Prime Minister’s charisma.